The Pentagon’s Defense Science Board is planning a series of classified meetings this week to discuss issues the Pentagon might not see coming, reports Breaking Defense. The “2018 Summer Study on Strategic Surprise” is expected to consider “what potential technological capabilities may not be sufficiently acted upon by the Department of Defense in the decade to come, that will lead to US regrets in 2028,” says Michael Griffin, undersecretary of defense for research and engineering. 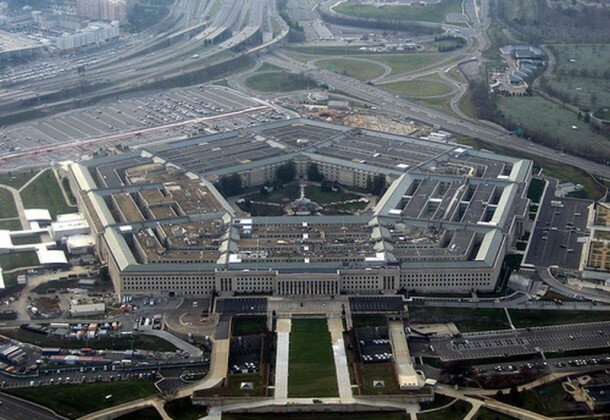 The Pentagon is not expecting to see its budget top line grow, reports Military Times. Robert Hood, assistant secretary of defense for legislative affairs, says the Pentagon will focus on finding savings to help fund necessary requirements, including increasing funds for high-tech efforts such as hypersonic weapons. The Washington Post reports the DoD has doubled down on a decision to turn to just one cloud-computing provider for one of its biggest IT contracts in years. Some in industry who fear this approach will give one company too much influence over the government’s information systems. NASA has announced the astronauts who will be flying on the first SpaceX- and Boeing-crewed spacecraft, reports Popular Mechanics. SpaceX planned for the first time to relaunch the newest version of its Falcon 9 rocket booster from Florida this morning, Aug. 7, at 1:18 am, reports Orlando Sentinel. The rocket will carry a communications satellite for Telkom, an Indonesian telecommunications satellite provider. US Secretary of State Mike Pompeo warned Russia, China, and other countries against any violation of international sanctions on North Korea that could reduce pressure on the North to abandon its nuclear weapons, reports CBS News. National Security Adviser John Bolton said the Trump administration is not “starry-eyed” about the possibility of North Korea denuclearization after just one meeting between North Korean leader Kim Jong Un and President Donald Trump, reports Washington Examiner. Russia is pressing the US and others to aid the reconstruction of areas of Syria under the control of Syrian President Bashar al-Assad, Reuters reports. The aircraft carriers Carl Vinson, Abraham Lincoln, and John C. Stennis will change home ports, reports Navy Times. This is in response to maintenance and refueling schedules. Bryan Clark, a senior fellow with the Center for Strategic and Budgetary Assessments, says more underwater drones will enter the fleet to work alongside humans, reports Navy Times. There are even ongoing efforts to launch unmanned undersea vehicles, or UUVs, from Virginia-class submarines to conduct surveillance or deliver payloads. The Air Force has opportunities for about 2,597 airmen — both first-termers and non-commissioned officers — to retrain into 110 different jobs in the next fiscal year, reports Air Force Times. The US State Department has cleared Latvia to buy four UH-60M Black Hawk helicopters, reports Defense News, in a move to bolster the NATO nation’s ability to move forces around in that region. The sale has an estimated price tag of $200 million. Booz Allen Hamilton Inc., McLean, Virginia, has been awarded a $47,435,959 cost-plus-fixed-fee contract for operational resilient cyber advancements. This contract provides the Air Force with the capability to rapidly respond to cyber development, engineering, penetration testing, integration, and transition requirements for cyber assurance and associated Air Force Research Laboratory Information Directorate mission division programs; to improve cost efficiencies for supported Air Force, intelligence community, and other US government customer organizations by exposing and reusing capabilities and software systems; and to foster the development and delivery of prototype systems that will meet the needs of existing operational users and potential new cyber weapon system customers. Work will be performed in McLean, Virginia; and Rome, New York, and is expected to be completed by Aug. 5, 2023. This award is the result of a competitive acquisition, offers were solicited electronically via an open broad agency announcement and two offers were received. Fiscal 2018 research, development, test and evaluation funds in the amount of $1,287,783 are being obligated at the time of award. 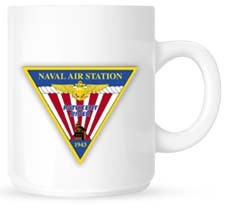 Air Force Research Laboratory, Rome, New York, is the contracting activity (FA8750-18-C-0116). SAIC, Reston, Virginia, was awarded a $23,514,100 modification (0001 04) to contract W31P4Q-18-A-0011 for the performance of system improvement and design optimization systems engineering and live-virtual modeling and analysis to Entry Control Point and associated force protection systems. Work will be performed in Redstone Arsenal, Alabama; Bagram Airfield and Kandahar, Afghanistan; Quayyarah Airfield West, Iraq; Camp Arifjan, Kuwait; Syria and Jordan, with an estimated completion date of May 31, 2019. Fiscal 2018 operations and maintenance Army funds in the amount of $23,514,100 were obligated at the time of the award. US Army Contracting Command, Redstone Arsenal, Alabama, is the contracting activity.